When I got the opportunity to try Prosciutto di San Daniele and Grana Padano I eagerly awaited their arrival, even resorting to stalking my post man, when I’d missed the delivery. This is one package that couldn’t survive in the depot over night. These two items for me, are like the dynamic duo of food – always perfect to eat together. Typically I’m encouraged to use the items in a recipe and I’m not normally slow to decide upon the fate of ingredients. But this time it was different. I waited and waited for inspiration to strike but all I wanted to do was enjoy these delicacies as they were, to savour the taste and textures without the distraction of anything else. 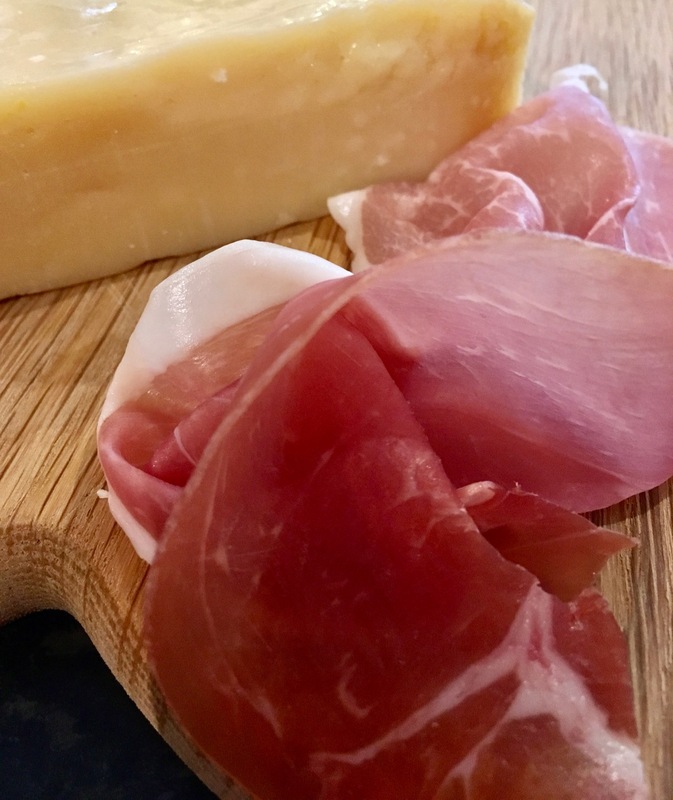 And so, there will be no recipe for these ingredients today because for me, Prosciutto and Grana Padano are not ingredients, they are culinary royalty and must be enjoyed in their natural, glorious state of being. In post-Brexit Britain, Protected Designation of Origin status (PDO) isn’t an issue any more, but for Europe, the quality, heritage and protection of certain specialities has always been very important. It means you can’t just call any cured/salted ham ‘Prosciutto’… or any old hard cheese ‘Grana Padano’. These names come with history and method of production that should be protected, not only because it guarantees quality and authenticity, but because it protects its legacy, whether it’s cheese, wine, or meat. I grew up in a house with a heavy European influence, and so eating hard cheese and slices of cold meats with perhaps some bread on the side was not unusual. In fact, over the years we’ve come to appreciate that this European habit is the only way to eat high quality delicatessen. You can eat your Prosciutto with some cantaloupe if you like, and of course you can enjoy your Grana Padano alongside its well-known associates like olives, raw slices of salted tomatoes and some slices of crusty, continental bread but these are delicacies to be savoured with acute awareness. I can’t bring myself to cook with Prosciutto. Those slivers of soft, sweet and salted pork can only truly sing when they’re eaten on their own, where the flavours and textures can resonate on the palate. Grana Padano on the other hand can be used in cooking. In fact it’s a healthy choice because it packs a punch in terms of flavour, which means you can ultimately use less. Add it to your pesto, flavour your bechamel sauce for deliciously creamy pastas, you can even hold on to the luscious yellow rind and keep it in the freezer for the next time you make minestrone soup; they add the most incredible richness of flavour. But to be honest, the best way to eat Grana Padano is on your next cheese board. You might not consider this hard, dry-looking cheese an orthodox addition to the decadent blues and complex French stinkers that usually end up on a cheese board, but take another look. The singularity of the unctuous, pungent flavour is matched only by its granular texture. Containing the tiniest holes and grains of hardened curd, Grana Padano cuts satisfyingly into slivers and crumbles delicately on the tongue. 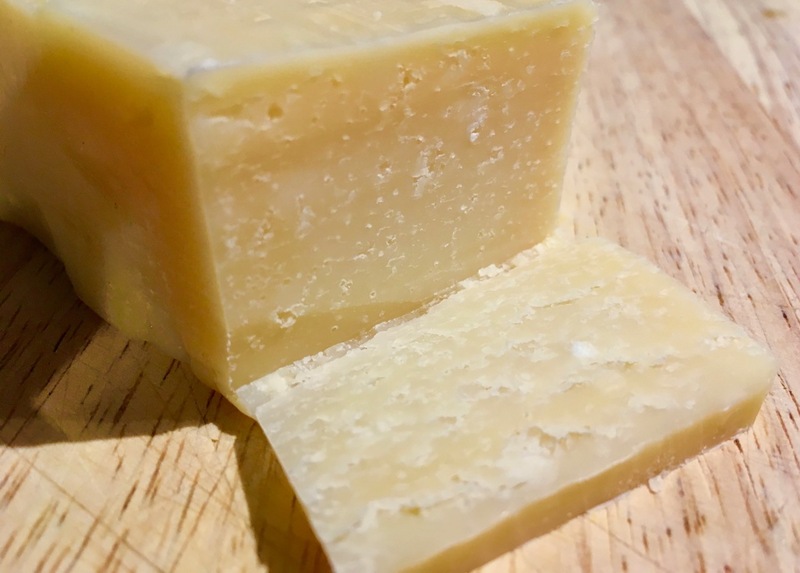 Very similar to Parmigiano Reggiano (also part of the ‘Grana’ family of cheese), Grana Padano is much less expensive and yet equally, robustly enjoyable.